The world record record has been achieved..... 60 hours 24 minutes 19 seconds. This eclipses the previous record by almost 3 hours!! 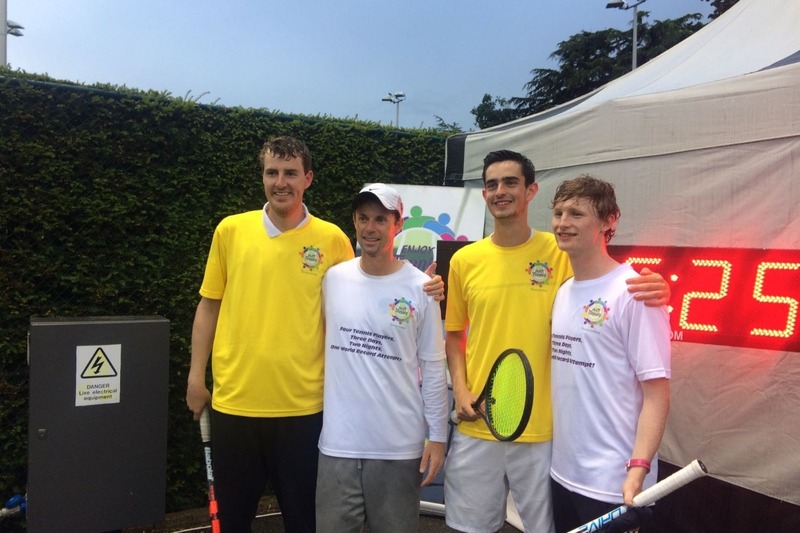 Former Irish Davis Cup players David Mullins and James Cluskey along with Dan O'Neill and Luke Maguire broke the Guinness World Record for the longest doubles tennis match on Sunday 15th July at 824pm. The record attempt kicked off on Friday 13th July at 8am with the goal of finishing at 8pm on Sunday evening. These four outstanding tennis players took on this challenge to raise money and awareness for Enjoy Tennis, an initiative that creates the opportunity to learn and play tennis with all the benefits that it brings to players of all abilities and ages. 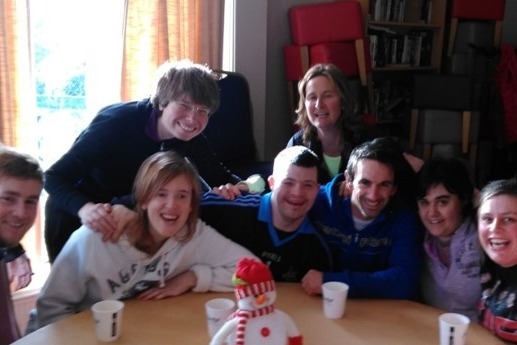 Did you know that 20% of the Irish population have a disability or long term health condition? Started in 2015, Enjoy Tennis now has almost 1000 players in 70 tennis clubs around Ireland. It provides services for players with a range of sensory, intellectual and physical disabilities. Including athletes with visual impairment, intellectual disabilities, autism, cerebral palsy, acquired brain injury (strokes) and wheelchair users. 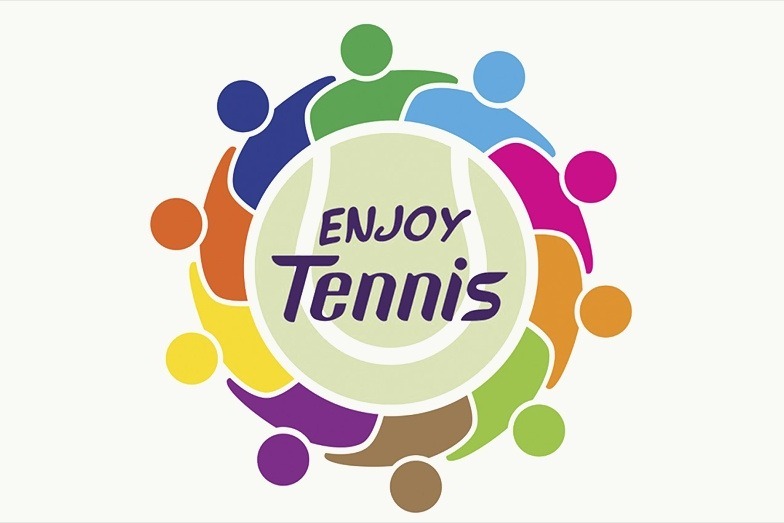 Many of the participants within the Enjoy Tennis programs around the country have never been afforded the opportunity to play any type of sport, never mind a sport as challenging as tennis. The benefits for the participants, coaches, clubs and service providers are innumerable. The feedback to date has been outstanding from all involved, and we want to continue to get more people involved with the sport we all love so dearly. Just €500 enables us to start a new group, which can have an impact on so many people within the community, not just those stepping onto a tennis court for the first time. Your donation will help solidify many of the groups that are already in place while helping to create new connections between tennis clubs and service providers all over Ireland. The joy and happiness these tennis sessions bring to the participants' parents, siblings, coaches, volunteers and tennis community involved in any stage of the process is immeasurable. Every cent we raise will go directly to funding Enjoy Tennis programs around the country as early as Autumn, 2018.